To support a project’s HR functions including recruitment, labor and employee relations, and personnel administration. Monitoring all HR related Matters in Project and or Operation area including Monitoring POB List, contractor’s Data Personnel and monitoring the compliance of Eni’s contractors towards GOI regulation. Managing local Stakeholders Engagement including frequently prepare manpower report to be sent to local stakeholder when its needed. Manage administration process for contractor personnel under Operation and or Project activity. Ensure mobilization and demobilization is properly managed based on GOI regulations. Manage HR Socialization at Project and or Operation location. Continuous Improvement on the recruitment Process & Implementation and ensure compliance to our Internal System: MSG, Procedures, OPI & Stakeholder Regulations. Ensure all work is conducted in full compliance with Client’s HSE policy, procedures and Safety Management System. Degree in Psychology or HR Management is preferred. Training and Courses; PSC Understanding, POD, WP&B and AFE, Upstream Oil & Gas knowledge. Please note that applications may not be reviewed if received after 30 June 2017. 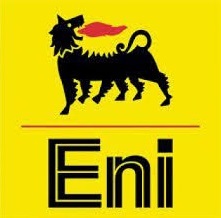 Thanks for reading Eni Muara Bakau Jobs: HR Field Officer. Please share...! 0 Comment for "Eni Muara Bakau Jobs: HR Field Officer"